Watch your guests faces light up when they see our 'Donut Stacker'. A super cute idea for your perfect day. Make your very own unique treat corner that will be adored by your family, friends and little ones. A finishing touch to an unforgettable day. 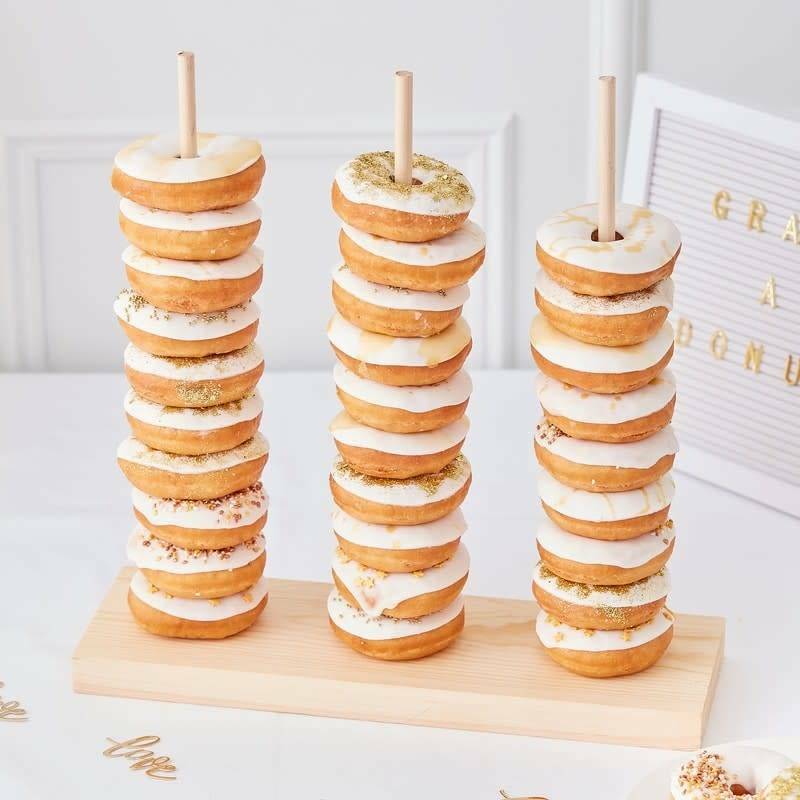 Wow your guests with this fun donut stacker! 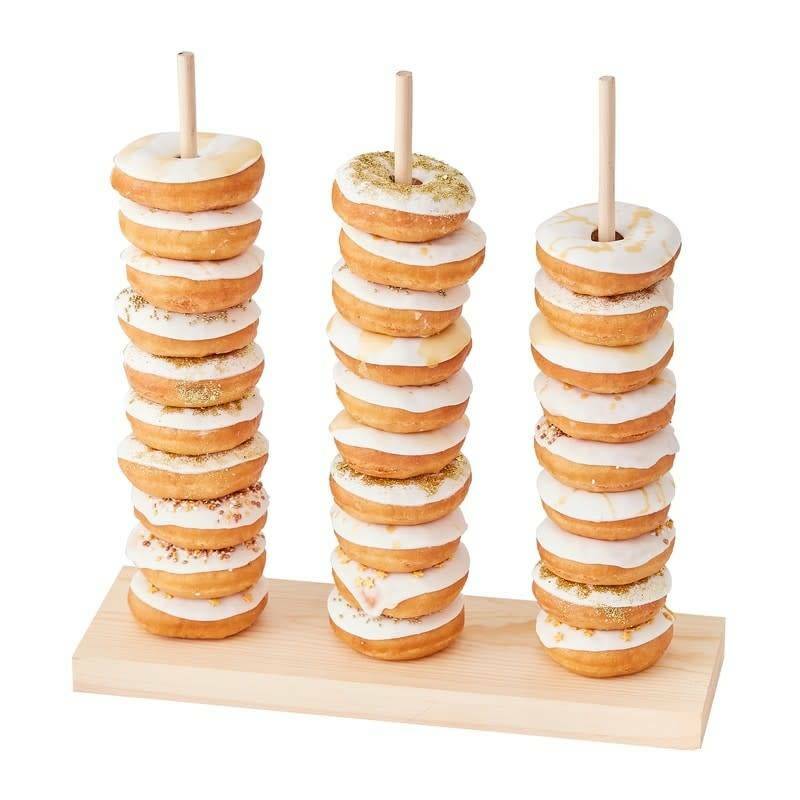 The wooden donut stacker comes with 3 wooden dowels to stack you donuts! This donut stacker holds around 30 - 35 donuts, ready for you guests to munch on.